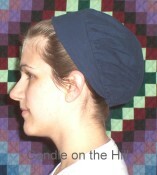 Features a wide brim to provide shade from the sun and back neck flap with elastic gather to help prevent sunburn on the neck. Generously sized sunbonnet fits over a regular covering. Helps protect you from the hot summer sun. 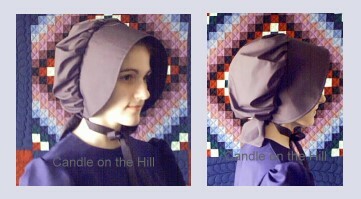 This sunbonnet is available ready-made from Plain-n-Simple Headcoverings.